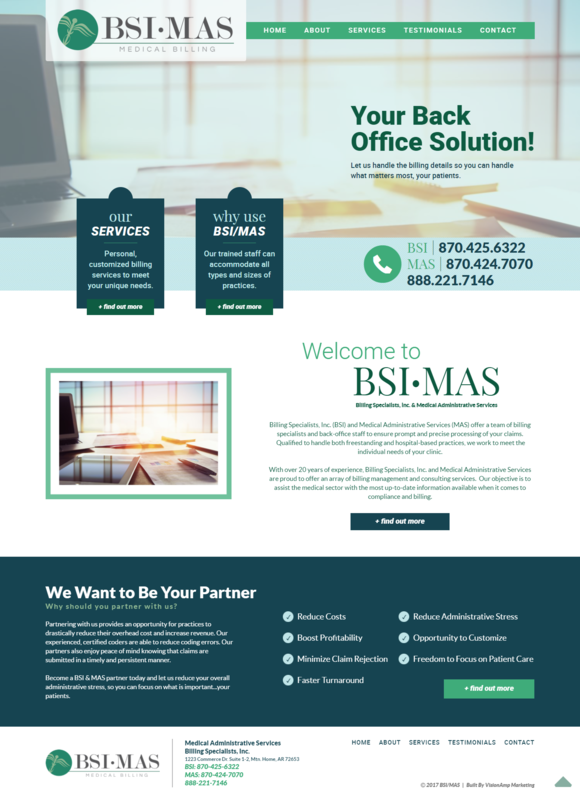 The latest BSI/MAS website was given an updated look and made to be more responsive and mobile-friendly. We focused on highlighting their services by adding clear call-to-action buttons and easy navigation right on the home page. We also worked with the company to add more content to help explain the services they offered.